Staging Change is a new initiative for performers and makers interested in greener theatre. Alice Boyd, Founder and Co-Director talks about how they're forming a network of performers and makers who believe in a greener future for theatre. As storytellers, performers and makers have a unique capacity to explore key issues with audiences both on and off the stage. In a warming world, this means taking leadership in communicating the importance of environmental action, whether that be through the content of our projects or the sharing of our practice. Last year at the Edinburgh Fringe Festival, my theatre company, Poltergeist Theatre, challenged fellow theatre makers to reduce their plastic, paper and material waste, as part of our #SustainableFringe campaign. We were thrilled that over 100 individuals and companies committed to sustainable actions over the course of the festival. 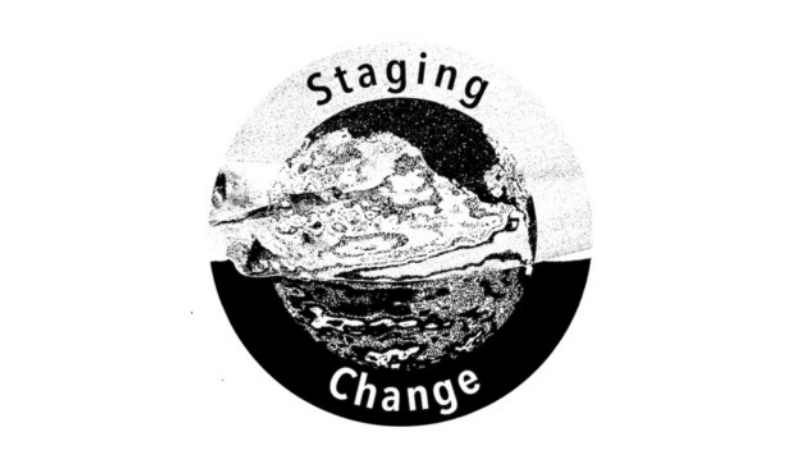 Since then, alongside a fantastic team, including my co-Director, ThisEgg’s Josie Dale-Jones, I’ve developed a new initiative called Staging Change. Staging Change is forming a network of performers and makers who work together to discuss how the industry can overcome the challenges it faces in becoming more environmentally sustainable. With over 50 individuals and groups in the network as of March 2019, and supporters including The Pleasance Theatre Trust, High Tide Theatre, The Bunker Theatre and the very inspirational Creative Carbon Scotland, we aim to see this grow and have a wider impact. Alongside the network, we are developing a series of campaigns, including a new and improved #SustainableFringe at this year’s Edinburgh Fringe Festival. Follow us on social media or join the network to stay up to date with the events, tips and opportunities we are offering to this year’s Fringe-goers. Beyond August, we are exploring how we can set up campaigns across the nation and opportunities for performers to develop and present green work. Whether you’re a green theatre machine or new to the sustainability game, everyone is welcome to join the discussion! Together we can create a theatre industry that has a small footprint, but a big impact. This story was posted by Staging Change. Creative Carbon Scotland is committed to being a resource for the arts & sustainability community and we invite you to submit news, blogs, opportunities and your upcoming events.